Fleetwood travelled with 16 players to second in the league, Colne and Nelson. Spirits were elevated after our first win of the season. With some good training sessions under our belt, an air of confidence was spreading throughout the team. Fleetwood won the toss and decided to kick off. Down to 15 players to a late pull out of Kerry Eastwood due to a dodgy kebab. With a strong determined start from number 8, Abbie White, number 5, Mags Penton and number 7, Ash Winchester, we were putting Colne and Nelson under pressure which resulted in a quick try under the post from winger, Gemma Prestwich, which was converted by Steph Goodwin. 0-7. This woke up Colne and Nelson and after conceding a penalty in our own 22 metre area, Colne and Nelson went over for their first try, which was not converted. 5-7. They then went on to score another unconverted try to make the score 10-7. Now the Fleetwood backs were getting into their stride, number 12, Emma Gardener and number 15, Elaine Greenhalgh were linking up well together, soon to be rewarded for their hard work with a try from number 12, Emma Gardener. Not converted, 10-12. This was when the half time whistle was then blown. Second half started with a Fleetwood knock on from the kick off but with some impressive tackling from number 10, Hannah Walsh, Colne and Nelson were again put under pressure. With a well-executed inside pass from the home team leaving Fleetwood stunned, Colne and Nelson went under the sticks for a converted try. 17-12. After not a very impressive mid-section, the team needed to start to dig deep. From a Fleetwood scrum, number 9, Sue Anslow, gave the ball to number 8, Abbie White who stormed forward to gain good territory for Fleetwood then to pass to number 4, Emma Gray, who recycled the ball well for a 9-10 combination where number 10, Anna Walsh, sucked in 3 players to pass out to number 12, Emma Gardener who scored her second of the day which was converted by Steph Goodwin. 17-19. Colne and Nelson were now in the mood for revenge. Capitalising on their youth and fast full back, passing to her on every opportunity where she ran in 3 tries which only one was converted which left Fleetwood legging behind. 34-19. 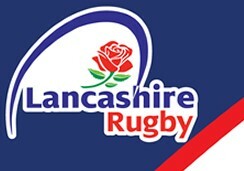 Last try of the game was for Fleetwood’s number 11, Beth Clifton, which was not converted to finish the game. 34-24. A massive improvement on our last encounter where Fleetwood had lost 31-15. Well done to both teams for a good hard fought battle. Fleetwood are on the road again next week with a visit to Leyland Warriors. Well done to all the girls.